relevance to specific keywords and to remove barriers to the indexing activities of search engines. Promoting a site to increase the number of backlinks, or inbound links, is another SEO tactic. SO WE FINALY GET TO THE BACKLINKS. JUST BEFORE GOING MORE DEEPER INTO THE BACKLINKS I HAVE TO SAY SOMETHING IMPORTANT FOR SEO WICH REFFER TO THE BACKLINKS SO MUCH. On-page SEO is the practice of optimizing individual web pages in order to rank higher and earn more relevant traffic in search engines. On-pagerefers to both the content and HTML source code of a page that can be optimized, as opposed to off-page SEO which refers to links and other external signals. "Off-page SEO" (also called "off-site SEO") refers to actions taken outside of your own website to impact your rankings within search engine results pages (SERPs). Optimizing for off-site ranking factors involves improving search engine and user perception of a site's popularity, relevance, trustworthiness, and authority. This is accomplished by other reputable places on the Internet (pages, sites, people, etc.) linking to or promoting your website, and effectively "vouching" for the quality of your content. 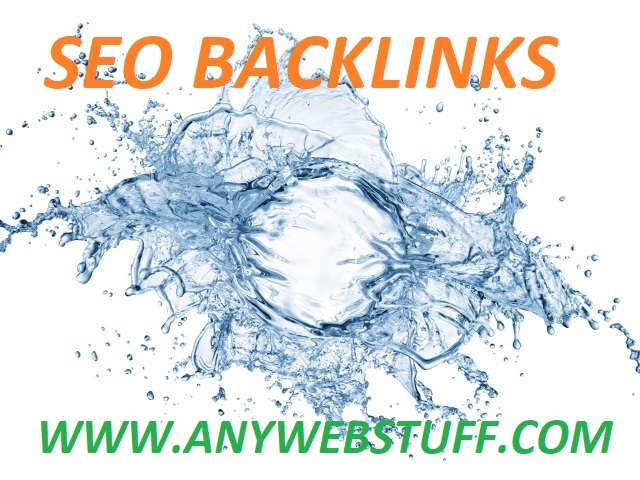 BACKLINKS - is a link one website gets from another website. Backlinks make a huge impact on a website's prominence in search engine results. This is why they are considered very useful for improving a website's SEO ranking. Search engines calculate rankings using multiple factors to display search results. Backlinks are especially valuable for SEO because they represent a "vote of confidence" from one site to another. In essence, backlinks to your website are a signal to search engines that others LIKES and VALUE your content. 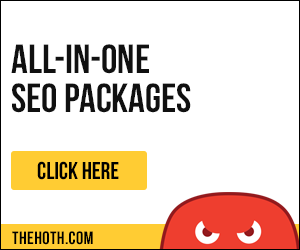 How many types of backlinks are in SEO? 1. Internal Link - Links within your site, to your webpages. 2. External Link or Inbound Link - Links from other websites, pointing to your site. It may be paid link, advertisement ink, widget links, site wide or footer link etc. Do-Follow and No-Follow means the way you give a ranking value or power to the link. Do-follow means those links will be calculated in Google rankings. Do-follow links are the back links and they pass the link juice(PA DA) to linking websites. No-follow links are the just back links which doesn't pass any link juice to linking websites. No-follow links are ignored by Google and not included in determining the ranking of a page. If you want to make website more visible or promote your website than you have to focus on built a quality and relevant Do-follow Backlinks. 1. The informational backlink- Informational backlinks lead to pages that offer more information related to the words that are linked in the text. 2. The definitional backlink- Definitional backlinks provide an extended definition of the linked words. 3. The referential backlink- Create linkable content on your web pages. This could be infographics, statistics, etc. 4.The promotional backlink- Promotional links are backlinks that go to a landing page. It’s no secret that links are valuable for any website. Not only do they prove to a search engine that your site has authority, but you also have the potential to reach an untapped audience (that could potentially turn into customers) if you use the right techniques. Link-building forms a crucial part of many SEO strategies for these exact reasons, but it’s not safe to assume that any link is a good link. There are factors that you need to analyse in order to make an improvement on your rankings, especially when it comes to finding your target opportunities. As the name may suggest, directory links come from websites that act as a directory for people looking for certain products or services. 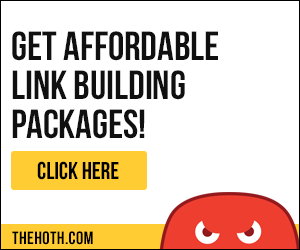 Online directories can accept free or paid submissions, so you may need to assign a small budget towards your link-building activities if you’re looking to build multiple directory links. You may also need to consider subscription-based directories as these sites charge a fee for publishing your submission on a yearly basis. Being featured on directories has the benefit of driving more targeted and relevant traffic back to your site. If your site is optimised, there’s a higher chance of these visitors converting into customers. The best way to secure a high-quality directory link is to find an authoritative niche directory. Try to avoid general directories and focus on those which are specific to your service offering or location. For example, let’s say that a company who sell iPhone repairs in Glasgow are wanting to submit their business to some directories. Instead of going for large, national directories such as Yell.com, it’d be better for the business to find Glasgow-specific directories like Glasgow Companies. The same company should also consider finding some iPhone or mobile repair-specific directories to secure a listing. This is because a search engine will provide more weight to similar sites that are linked together, allowing the iPhone repair company to gain authority from the niche directory site. Along with building awareness around your brand, editorial links also aid with helping the organic search rankings of the website being linked to. This is because high-profile publications such as The Huffington Post and The Daily Mail have a high Domain Authority (DA), are trusted by search engines, and identified as being good quality sites. Therefore, when one of these high-DA publications link to your site, the search engine passes on some of the trust to your website. This is regarded as one of the factors in a search engines’ algorithm, providing your website with a stronger chance of ranking for your keywords. Let’s say that a company who sells shoelaces has just launched a new line of coloured products. The business owner decided to create a press release to raise awareness of the launch and included a link back to their website. However, the story isn’t very interesting to people who are unaware of the brand and so the piece is likely to be successful. So, what if the shoe lace seller could find out an interesting fact about Brits and shoes? What if it was discovered that just 20% of people know how to tie their own shoe lace? Now, that’s much more interesting and appealing to a wider audience, right? So, the business owner commissioned a survey that backed this up. Instead of focusing the press release around the fact that the new range is launching, use the hard-hitting stat as your main focal point and subtly mention your new range within the piece. Not only is it more likely to feature in a newspaper, but it appeals to a bigger audience and you’re likely to attract more potential customers as a result. Often referred to as one of the oldest SEO link building strategies, it’s still useful to have blog comments in your backlink profile. Blog comments are the simplest form of link to get and can be done by visiting a web page and leaving a message in response to the publisher. One great benefit of blog comment links is that there are 83.1 million new posts being published every month, meaning you’ll never run out of places to comment! In order to get the best results from your comment, make the comment meaningful and relevant to the article that you’ve just read. Posting something like “awesome post!” will not only make it obvious to the blogger that you’re just there for a link, but it also ruins your chances of using a comment on that blog to direct traffic back to your own site. Instead, find blogs that are similar to your niche and wherever possible, link to one of your similar posts as opposed to your home page. When a search engine notices the similarity in the topic and/or theme of both posts, the link is likely to be seen as more valuable. Forum links are also great to diversify your backlink profile and whilst they’re also known as an old-school tactic, you gain them by interacting and providing advice to people. There are thousands of forums ranging from computing to beauty advice and although it may account for a bit of time in order to read and respond to other forum commenters, you have the advantage of positioning yourself as an expert in your niche. This could lead to other forum commenters becoming future customers. The best way to get a high-quality forum link is to post in forums that are relevant to what your business offers. Like the way in which a good directory link comes from a niche site, you should think about the topic and community before inserting a link into a forum. You should also consider the Spam Score and Domain Authority of the site. For example, Tom's Hardware is a forum for computers, laptops and technology discussion. It has a DA of 52 and a Spam Score of 3/17, which would indicate that this forum is a great option for technology or computing businesses to get involved with. You’ll have probably heard the debate on whether or not you should be doing guest posting but as long as you approach it in the right way and follow white-hat techniques, they’re a great way to build links to your site. Guest posts happen when you write an article and contact an editor with the hopes of them publishing it on their site. If their guidelines permit, you can include a link within the content back to your site. 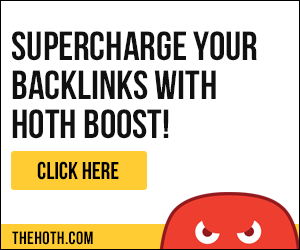 It’s worth noting that your sole objective for guest posting shouldn’t be to gain backlinks. Editors and publishers can spot link-thirsty companies from a mile away, so your main reason for the article should be to provide their readers with some value. Whilst there has been some debate recently about the best way to approach guest posting, you should always find a niche website that specialises in the topic you’re wanting to talk about. In order to get the best results from your guest post, ensure that the blog has a substantial audience and engaged social media pages. Make your article interesting, long-form and relevant for the best chances of it getting accepted and provide value to the existing readers of the blog. Choose your own platform for your business development, populate the accounts and share the information to have a good base. We want to share with you information about possible ways of backlink earning. How do you do that? SEO function is based on the users’(clients) wishes. That’s why, first of all, you must also think of your user’s desires and preferences. Satisfied clients will share your content and will always go back to your website. Try not to write top Google articles just by using some other words. You need to make your message unique, interesting, impressive and well-structured. Very nice article related to SEO, thanks.